When Warner Communications sold a failing Atari to Jack Tramiel, the business community was amazed. When the new Atari demonstrated a revolutionary new computer within six months after the takeover, the computer industry was amazed. Now it's your turn to be amazed as Jeffrey Daniels brings you the inside scoop on how Atari's flagship computer came about--and what Atari is planning for the future. On Monday, July 2, 1984, Jack Tramiel, his three sons, and a core band of Tramiel loyalists stormed Atari Incorporated's headquarters and took control of Warner Communications' bleeding, teetering Atari subsidiary. A little over five months later, in January 1985, a radically restructured Atari Corporation publicly unveiled its new computer at the Consumer Electronics Show in Las Vegas. During the following spring, they shipped approximately 100 custom ST units to third-party software developers. And in June of that year, against all odds and amid widespread, doomsaying prognostications from industry pundits, the first production model Atari 520 ST computers rolled off the assembly line in Taiwan. It had been a wild, wild ride. "I tell you, it was very exhilarating," recalls Shiraz Shivji, Atari's Vice President for Research and Development. "During those days, I used to get home at about ten o'clock at night, six days a week. Sunday was about the only day we took off--sometimes we couldn't take off Sunday. I remember New Year's Eve [as the company scrambled to meet its self-imposed January 1985 CES deadline]. I was working that night when the firecrackers started popping, then well on into the New Year." "It was a miracle," says Richard Frick, one of a handful of Warner veterans still at Atari and now Director of OEM (Original Equipment Manufacturer) and VAR (Value Added Reseller) Sales. "You could come here almost any day of the week and find people working very late at night, then on weekends. The parking lot was always full." Contrary to popular myth, the ST did not exist in any shape or form at Atari prior to the Tramiels' takeover. Planning for what was to become the Atari ST began in late April and early May of 1984. The first step was when Jack Tramiel formed a small company called Tramiel Technology, Ltd. He then gradually began to bring together people from around the world, all ex-Commodore employees, with the specific intention of designing, manufacturing, then somehow marketing a new, popular-priced computer. But in those first weeks, acquiring Atari was still just a dream. By the end of May, Tramiel Technology had rented a room at an apartment complex in Sunnyvale, and the core group of Tramiel recruits began to plan their new machine and to seek out a way to market it. Shortly thereafter, the negotiations with Warner Communications began to heat up. 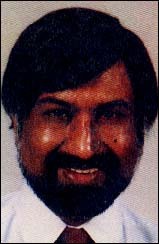 "What the product was going to be and what it looked like was already very clear in our minds," Shivji says in recalling that time. "The work had already started. We knew what we wanted in a computing engine, what we wanted in a user interface. There was going to be a windowing system, it was going to have bit-mapped graphics, we knew roughly speaking what the [screen] resolutions were going to be, and so on. All those parameters were decided before the takeover. The idea was an advanced computer, 16/32-bit, good graphics, good sound, MIDI, the whole thing--a fun computer--but with the latest in software technology." Digital's IBM PC assembly code into 68000 code. Shivji soon had a block diagram of the machine on paper, but a detailed schematic was still months away. At least three CPU chip sets were under consideration, and the design engineers were still not sold on the Motorola 68000, the microprocessor at the heart of today's ST. Originally, the ST was intended to be a true 32-bit machine. "We were hot on the 32016 and 32032," Shivji said. "We had a bunch of meetings with National Semiconductor regarding the availability of the chip, and when it was obvious that we could not have the number of chips that we wanted and the pricing was not right, then the decision was made to go with the 68000. Actually, what happened also was that eventually we even built a unit based on the National 32032 and we were quite disappointed." Jack Tramiel's son Leonard flew out to Silicon Valley in May to meet with his father, Shivji, and others to discuss the new machine. "At that time we went through an awful lot of details about what should be in where, how everything should work, and we had discussions with Digital Research [the developers of GEM]--the whole bit," Leonard noted. 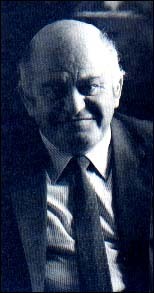 John Feagans, a software engineer who had recently departed Commodore, was among the original strategists. "We went down to Digital Research," he said. "GEM wasn't called 'GEM' at that time. It was called 'Crystal.' They showed it to us working on an Apple Lisa. Well, actually, it was all smoke and mirrors. There was hardly anything of use in that demo, because they had devoted their entire programming effort to putting it on the IBM PC." The version of GEM first demonstrated to Tramiel Technology was actually running on top of CP/M-68K. Indeed, GEM's CP/M-68K incarnation was the only version of GEM available for the 68000 microprocessor at the time, and Atari would continue to plan for it to be the ST's underlying operating system in the months to come. 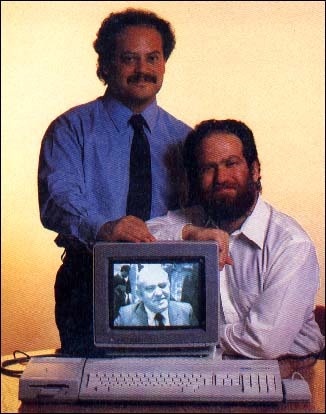 Though negotiations with Digital Research were going well by June, Jack Tramiel had made no final decision, and system software was thus still up in the air by the time of his Atari takeover. The company was confronted with two obvious choices for the new machine's system software: either adapt an "off-the-shelf" package (such as GEM) or write a new operating system. Time was short, and programming personnel, both late of Warner's Atari and those from Commodore, were still relative unknowns to top company officials. "Basically we had a bunch of programmers we knew nothing about," Leonard said. "We did not know--we could not know--that we had the talent in-house to design and write our own OS. With GEM we had something that was already laid out and planned based on a previously existing product [GEM on the IBM PC]." Soon after the takeover, Microsoft began to court the new Atari in an effort to sell Windows as the ST's operating system, and Leonard had several meetings with them. But Microsoft's Windows was still almost two years away, and Digital's GEM was much further along. The new Atari decided to go with Digital Research. 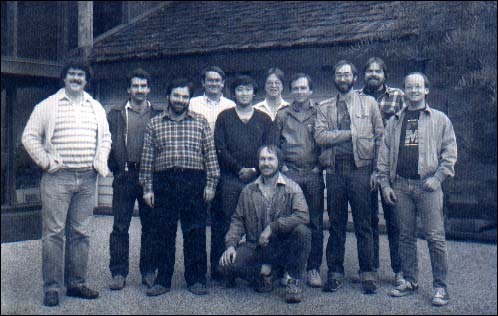 In September 1984, Atari sent most of its software engineers down to Digital Research's facilities in Monterey, California, to begin the port of GEM. The software group lived there for most of the following four months, some staying on longer. Their task was to translate Digital's IBM PC assembly code, written for the 8086 microprocessor, into 68000 code, and also to rewrite and recompile Digital's C code on the ST system. It was a monstrous task. Dave Staugas, who ported the text blit and later wrote the ST's NEOchrome paint program, remembers that time: "The killer was that Digital Research would give me this 8086 code and say, 'Translate this,' and then a week later they'd say, 'Oh, there were a lot of bugs in that, here's the new one.' I never really had a spec. The latest code was the spec." Miraculously, by the beginning of January 1985 all the pieces began to come together. Atari officials realized they would meet the CES deadline, and they did: they shipped five STs to Las Vegas, with GEM still running on top of CP/M-68K. For Shivji, this was the climactic, energizing moment: "The really exciting thing was that in five months we actually showed the product at CES with real chips, with real PCBs, with real monitors, with real plastic. Five months previous to that there was nothing that existed. You're talking about tooling for plastic, you're talking about getting an enormous software task done. And when we went to CES, 85 percent of the machine was done. We had windows, we had all kinds of stuff. People were looking for the VAX that was running all this stuff." Atari's first CES was an unequivocal success. Though product was not ready to ship and Atari had not yet signed on great numbers of computer retailers, the company had nonetheless brought off a tremendous public relations coup. Doubters stood amazed, the faithful beamed, and Jack Tramiel's oft-quoted comment to the naysayers at CES was "Oh ye of little faith. " Yet Atari still had much work ahead of them. In February, GEMDOS was nearly complete and Atari had to make a crucial decision: should they continue with CP/M 68K or to move on to GEMDOS? Leonard explains: "That was an extremely difficult decision to make. CP/M-68K had been around several years; it was a well-known, well-understood, relatively well-accepted existing operating system. GEMDOS was a completely brand-new, untried, untested, incomplete operating system. However, it also offered significantly higher performance and gave the full hierarchical file system that CP/M-68K simply did not have. It was quite a difficult decision to make, but I think we went in the right direction going with GEMDOS." GEMDOS, while not written as an MS-DOS clone, nonetheless was modeled on MS-DOS. There is nearly a one-to-one correspondence between GEMDOS operating system calls and those of MS-DOS, and the mechanism for storing files on disk is identical--which is why ST disk drives can read IBM disks. "It gave us a connection to the PC world," says Mike Schmal, software engineer and one of the architects of the	ST's system software "With GEMDOS, programmers better understood our code. We gave them the impression that they were already in their own world. They didn't have to learn the ins and outs of a whole new OS, which would have happened if we had written our own." Throughout the spring of 1985, Atari shipped custom-built STs to developers. But during that spring, even as the hard work and dedication of so many was paying off, the corporation's health was at its most critical stage. "At CES, the gods were smiling on us," recalls Neil Harris, Director of Marketing Communications. "I think the most interesting period of time really was the time right after CES, the next few months. That's when we were really scraping the bottom of the barrel in terms of how much cash we had available. Jack Tramiel had put $30 million in the company, and we were down to the point of: 'What's our payroll this week, how much cash do we have in the bank, what can we do to keep going?' We had sold everything there was to sell off. We had no cash flow from new products. Here we are in March saying, 'Is Jack going to pull the plug on us?' It was a scary time. Every body was really slaving away--a major team effort--to try just to get through this until we had products to ship." Of course, Atari did finally begin shipping products, first in May with the XE line, then in June with the new STs. The bleakest period was over, and the company--along with its flagship 520 ST computer--began to blossom. In its March 1986 issue, Byte magazine previewed the Atari 1040 ST, hailing it as the first personal computer priced under one dollar per kilobyte of memory. With the introduction of the 1040ST, Atari had once again catapulted itself as the clear leader in offering high performance computing without the high price. Throughout that year sales steadily increased, and the company enjoyed increased profitability and growth. Their bottom-line gains and an aggressive, cost-cutting management team attracted Wall Street, and in November of 1986 Tramiel took Atari public. At one point during the summer of 1987, the stock was selling for nearly triple its offering price. The Tramiels have accomplished much in the four years since they wrested Atari from Warner Communications, but there's still room for further successes and improvements. Company officials routinely concur that ST sales in the U.S. must improve. The ST sells phenomenally well in Europe, especially in Germany and the United Kingdom. But domestic sales haven't grown as hoped, and the introduction of the Mega line--replete with a new laser printer and hard disk drive--has not significantly improved matters. Why has the ST sold so well in Europe, yet not taken off in the United States? Leonard Tramiel offers the following theory: "There are several reasons. One is that the United States has this terrible disease called IBM-itis, and the IBM PC had gotten a pretty good stranglehold on business here. Plus, Apple had never gotten its stranglehold on Europe. What you wound up with in Europe was the PC, Mac, and ST all arriving at just about the same time. People had a fair, uniform comparison, 'Which of these machines do you want?' and they looked at the price and performance and people bought STs. In the U.S., we had to fight an I-don't-know-how-many-hundred-million-dollar propaganda campaign from Apple, and we didn't have hundreds of millions of dollars to spend on propaganda. Finally, the phrase, 'No one was ever fired for buying an IBM' I don't believe has ever been translated into German." "We're beefing up our own internal support capability. We're trying to do it from the inside out, recognizing that there is certainly a perceived problem out there. We're putting effort into developer documentation and also into formalizing the support mechanism. We're putting in place a problem tracking system, which will be a database, and will contain all known bugs, reported bugs, and requests for enhancements. That will be the sole database for any future products [including the new TOS revision]. So we'll know for any particular product what the problems are and what the requests are so we can address them. We're putting that in now and it should be up by April. Once we have it shaken down, we'll distribute it to subsidiaries [worldwide]." Windows as the ST's operating system. The March 1986 Byte magazine article mentioned that critics of the ST often bemoan the dearth of good software, and that many of the early software packages were ports that did not take advantage of the ST's capabilities. However, Atari is proud to point out that the ST software scene has improved dramatically in the last two years, and that large and popular software houses, such as Microsoft and WordPerfect, have now jumped on the ST bandwagon. "You don't get much bigger names than those," notes Leonard Tramiel. With the introduction of the Mega line and Atari's CD-ROM well on its way, Atari officials feel that the ST product line is poised for a major breakthrough in this country. "We've always said that we are going to have the ST computer as a family of products," says Shivji. "There are many logical extensions of the ST. We're trying to do it in such a way that the software investment you have does not die. We have several enhancements planned." The Atari CD ROM player is one of those enhancements, and is well on its way. It uses the High Sierra data format and plays audio disks as well. At about half the price of competing CD ROM decks (approximately $599), it will be difficult for other companies to compete. The machine is slated for release late in the second quarter of 1988. It's safe to say that Atari remains fully and emphatically committed to the ST line. There is a new consciousness at the company--and new employees and money to back it up--that recognizes today's personal computer market as an increasingly sophisticated one, and that users are no longer looking for hardware per se, but are looking instead for software solutions. And Atari intends to install the ST and its children as the personal computer of choice to deliver those solutions. If you'd like to see more articles like this, circle 171 on the Reader Service Card. Jeffrey Daniels is a freelance writer who specializes in software documentation. The ST Section's articles ranged from software reviews to examinations of the ST's internals to type-in ST software. But Antic publisher James Capparell knew ST owners wanted their own magazine, complete with programs on disk--and thus, with its Summer 1986 issue, START was born. START began as a resource for developers and hackers--the technically sophisticated people who bought the earliest STs. Today, on our second birthday, were the #1 resource for all ST users. To make it easier for you to find your way through our three years of ST coverage, START contributor Dave Plotkin has compiled the START Index. It's a complete database of every article, review and program from START, as well as Antic's ST Section and ST Resource. Here's how to use it: First, copy the files INDEX.ARC and ARCX.TTP to a freshly formatted disk. Double-click on ARCX.TTP and type INDEX.ARC, then press Return. The disk will spin, your ST will tell you what files it's creating, and when you return to the Desktop the uncompressed index files will be on your disk. There are two copies of the index. INDEX.TXT is a text file that you can print out or show on the screen by double-clicking on it from the Desktop. The index is in alphabetical order by title. INDEX.FRM has each field of the index on a separate line. To help you create a format your database manager will understand, we've included CONVERT, a GFA BASIC program in both source code (CONVERT.LST) and a compiled version (CONVERT PRO). Run CONVERT PRG, then click on Load Data under the File menu and select INDEX.FRM. (The file CONVERT.RSC must be in the same directory as CONVERT.PRG.) When the program has finished loading the data, click on Save Data. If you are using CardSTak from START's Business Applications special issue, simply click on CardSTak and the File Converter will prompt you for an output file name and then write the index to disk in CardSTak format. If you are using another database manager, click on Delimit. A dialog box will ask you for the delimited format values. These values tell which character will delimit (set apart) the fields, and which character will delimit the records. The default values are 44 (the ASCII value for a comma) as a field delimiter and carriage return/linefeed as a record delimiter. To change these values, enter the decimal value of the new delimiter. If you want to enclose the fields in quotation marks highlight the box next to this option; the default value is On. Some database managers interpret anything in quotation marks to be text, so if you want your numbers to be treated as numbers you will have to turn this option off; the default value is Off. Most database managers can read data in this default format; however, refer to your manual to be sure. Before loading the index into your database, you will probably have to create an index data file. The field definitions will be: Title (maximum length 68), Author (maximum length 32), Magazine (maximum length 11), Issue (maximum length 12), Page (numeric), Article type (maximum length 17), Language (maximum length 14) and four lines of comments (maximum length 73 each). The last comment field is blank for each record, but we've included it to be consistent with future updates of the index. Here's hoping that you've enjoyed Antic Publishing's first three years with the ST--and that there are many more to come! Find it all! File INDEX.ARC on your START disk!